The captain of a US Airways flight announced the plane was leaving its runway position and returning to the gate, promising more information as soon as possible. We later learned that an argument between two stewardesses in the galley had escalated and one of them called the purser to complain. Some passengers seated in the front rows may have heard the argument. While the flight was delayed nearly two hours, the captain handled it by providing straight information without spin. The result was proof again that transparency creates trust. About 30 minutes after the plane returned to the gate, the captain announced that a personality conflict between two crew members was responsible for the delay. He apologized for conduct that was unprofessional and acknowledged with regret that everyone on the plane was being inconvenienced. He indicated the plane would take off as soon as a replacement crew member arrived. The mood that triggered the initial, irritated groans as the captain began speaking shifted by the time he had finished. One passenger called out he’d be happy to help with the beverage service if it meant leaving sooner. While another chimed in he was willing to forgo beverage service. Some laughed, others got on cell phones to check on connecting flights or adjust schedules with their offices. There was a mild hum as people began talking to those around them about what an odd situation it was – both that the captain was so forthcoming and that a crew conflict had gotten out of hand. A stewardess left the galley for the rear of the plane and was stopped mid-way by a passenger asking if she was involved or would be leaving. She answered she was staying, but hoped the other person would have to leave; she said she had had “her teeth rammed down her throat” so she notified the purser. That stewardess remained on the flight. When a new stewardess arrived, the plane took off. 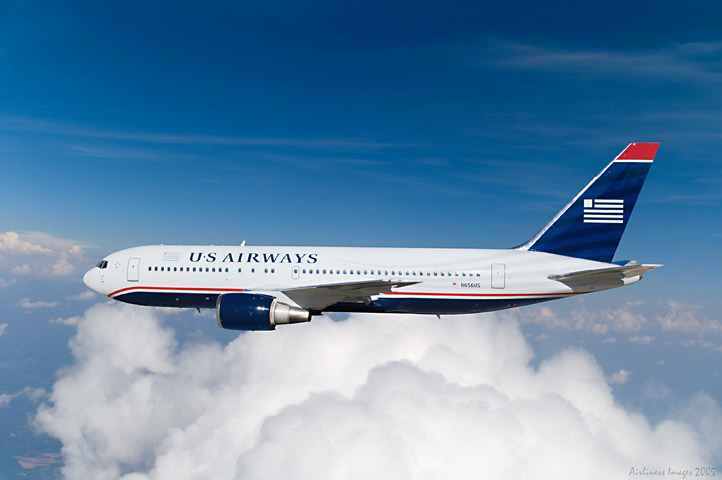 US Airways has traditionally ranked poorly in customer service and on time departures. Ironically, the day after that flight an article cited the airline’s progress in improving its industry ranking over the last three years and its turnaround in service and image. Later, I asked two United flight crew members if they knew of any instances when flight crew arguments caused a plane to return to the gate. Neither had ever heard of it happening. Nonetheless, a stewardess pointed out, safety has to be the top consideration on any aircraft. Flight crew members have to be able to work well together and trust each other. They have to deal as a team with any potential medical emergency among passengers or respond to any emergency situation impacting the plane. If they can’t act as a team, passengers are at risk. Problems are inevitable in business and among employees. However, it is the leader’s response to a problem that determines much of what will follow. On the US Air flight, the captain set a tone that impacted how those negatively affected reacted. He spoke directly about the cause of a problem, told how it was being addressed, apologized, recognized that everyone was being impacted, and then took care of the problem – in this case by taking people to their destination safely. It is a formula for leadership that builds trust and reputation, a formula we don’t see often enough.